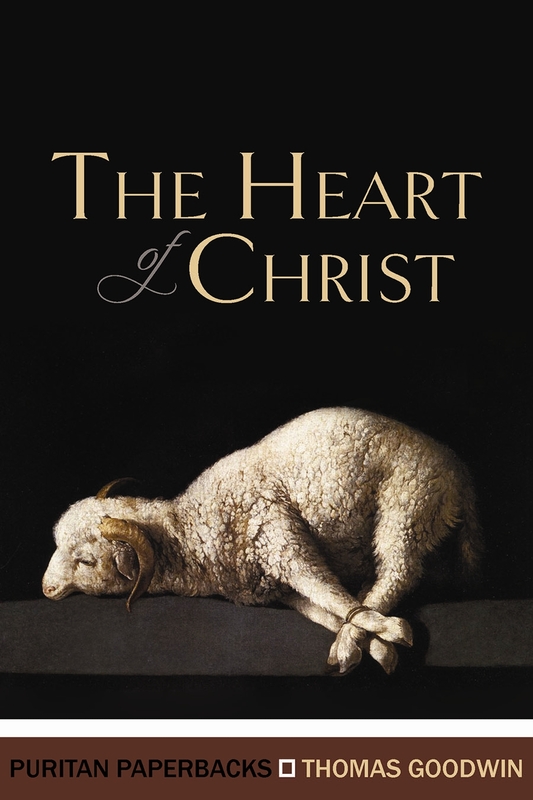 At New Word Alive back in April, I was convinced by Mike Reeves glowing recommendation to read “The Heart of Christ”. It’s a small book written by the 17th century Puritan Pastor Thomas Goodwin…Yes that’s right “Puritan”. But don’t let ideas of solemn men dressed in black put you off! Goodwin’s reason for writing this book was to convince Christians about how Jesus feels towards us. He aimed to show that the gloriously ascended Jesus feels no less love towards sinners on earth now than he did while amongst his disciples, and that the Bible contains many proofs that should encourage and gladden the sin-burdened Christian. To do this he walks us through the Bible demonstrating through Jesus’ own words, and the teaching of his apostles, how deeply Christ loves us, how readily he welcomes us to himself, and how he longs to return for his bride the church! Doesn’t that sound like a great read?! In Part 1 Goodwin takes us through John 13, showing us that as Jesus washes the disciples feet he demonstrates not only their need, and his gift on the cross, but also that despite his great power, and anticipation of his quickly approaching glory, he loves them and serves them absolutely. Jesus knew that the Father had put all things under his power, and that he had come from God and was returning to God; 4 so he got up from the meal, took off his outer clothing, and wrapped a towel round his waist. He points out that John tells us Christ “loved them to the end” and that it is his knowledge of his approaching death, resurrection, and ascension that prompts him in this act of love that will stay in the minds of his disciples forever. One of Goodwin’s reasons for highlighting this is to assure us that Jesus still loves us although he has returned to his throne, his attitude has not changed, and his love has not cooled. And in Ephesians 5 he shows us how Christ is the one to wash his church and make her beautiful, presenting her as his radiant wife. He gave himself up for her, and he will not abandon her, or wait for her to purify herself, but beautify her! Another key passage that Goodwin uses to encourage is John 17, using it to explain Christ’s heart towards believers as he prays to his Father for them. These are just a few of the comforting truths that Goodwin expounds from scripture, and I’m only half way through the book! It’s easy not to notice our hearts growing cold, and the doubts creeping in as we wrestle with sin and suffering. Does Jesus really love me? He feels so distant. How can he forgive me when I’ve done X, Y or Z? The Heart of Christ is a worthwhile read, especially if like me you are new to Puritan literature! It has filled me with a new gratitude to Christ, and a greater joy and assurance of his love, straight out of the pages of the Bible! Praise God for sending Christ Jesus – the servant king, the rescuer, the bridegroom. We had a wonderful Good Friday service this morning at Cambray Baptist Church. As we sang of the pain and suffering of the cross, and our gratitude to Jesus for His sacrifice, I silently thanked Him and let the words of the hymns warm my heart, melting away the complacency and familiarity that had built up. 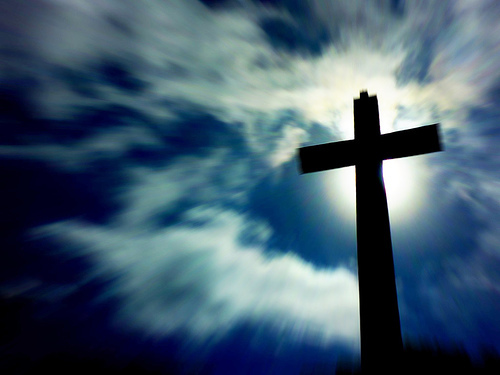 As I prayed I thought about what a right emotional response should be to the cross. The gift of our rescue at the cross demands more than gratitude because it brings the restoration of a relationship, not just the fulfilment of a legal transaction. And it’s the most important and fulfilling relationship in the universe! We are reconciled to God and this demands our love. But I feel so worthless as I look at my sinfulness! I easily recall the thousands of time per week when I put my own desires above God’s, continuing to expose my heart’s rebellion with my lack of worship and obedience. I feel like a fraud at the foot of the cross! I am truly grateful for the rescue that was won for me that cruel day at Golgotha. But I feel unworthy to come to him with such a tiny pathetic offering of love in response. It seems like such an insult! For whom the Saviour died. It is because of my sin, my terrible lovelessness, that Christ did die! His love is greater than my sinful failure to love! His grace is sufficient, He is the one who teaches me to love him in return! It is because of this love, “Because thou dost accept me” that I grow to love and adore him in return. Hallelujah! No wonder we call it “Good Friday”! This week me and my Ladies are studying Luke 7:36-50, here’s a flavour for you. A dinner party with Jesus as a guest, religious leaders and Pharisees recline around the table, making polite conversation and trying to figure out why this teacher from Nazareth is causing such a stir. Suddenly the atmosphere changes, a woman has entered the room, she kneels at Jesus feet weeping, wiping her tears from his feet with her hair, and pouring oil on them. The quiet chatter around the table becomes angry murmuring, as the woman is recognised. She’s a prostitute, a sinner, what is she doing among them? She has no right to be in good society! She kisses Jesus’ feet again and again, seemingly oblivious to their stares and censure. A woman crying, social conventions crumbling. Perhaps this scene makes you want to stay away from the drama, we’re British after all! How will Jesus salvage his reputation? But why is she weeping at Jesus’ feet in the first place, and why as the story progresses, does Jesus respond so warmly to this embarrassing demonstration? 41 Two men owed money to a certain money-lender. One owed him five hundred denarii, and the other fifty. 42 Neither of them had the money to pay him back, so he cancelled the debts of both. Now which of them will love him more? 43 Simon replied, I suppose the one who had the bigger debt cancelled. You have judged correctly, Jesus said. Jesus is the money lender who cancels the debt of sin that we owe. The debt that results in God’s wrath and righteous judgement. It’s a debt we could never hope to repay! 44 Then he turned towards the woman and said to Simon, Do you see this woman? I came into your house. You did not give me any water for my feet, but she wet my feet with her tears and wiped them with her hair. 47 Therefore, I tell you, her many sins have been forgiven— for she loved much. But he who has been forgiven little loves little. 48 Then Jesus said to her, Your sins are forgiven. Like the woman – She knows that her sins before God are huge, creating a debt she can never pay. Imagine the despair she must feel, unable to enter God’s presence or make things right. She knows that she needs Jesus’ forgiveness. Perhaps she has heard of Jesus’ words (a few chapters earlier in Luke 5:32) “I have not come to call the righteous, but sinners to repentance.” And maybe she is one of the many who have come in faith for the forgiveness of this man who speaks with God’s authority. She is full of joy and can’t stop weeping with gratitude! She knows she hasn’t earned it, it’s a gift, but she responds to it with love. Simon is just as spiritually bankrupt as the woman, only he does not realize it. How do we relate to Jesus? As equals? A wise teacher? A friend to ask the occasional bit of advice from? Maybe we feel a bit distant, and unable to relate to the display of emotion from this nameless woman? If you’ve never been heartbroken over your sin – however you express it personally, shouldn’t you be? I think there should be times when it hits us afresh – how filthy our rags are, how pure and perfect Jesus grace for sinners. It should break down our casual attitude towards Christ. For this woman what makes her weep is not so much her failure, but her gratitude. She is overcome with joy at Jesus’ offer of forgiveness in the face of her flagrant and obvious sin. That is why she doesn’t care that she looks a mess, or that she is surrounded by scornful VIP’s, or that she will be the talk of the town for her behaviour. As Christians we remind ourselves not just that our debt has been cancelled, but that Christ our generous Lord has credited his own righteousness to our account! It should feel too good to be true! Join me in praying that God’s spirit would be at work to make us people who love much, because we have been forgiven much.